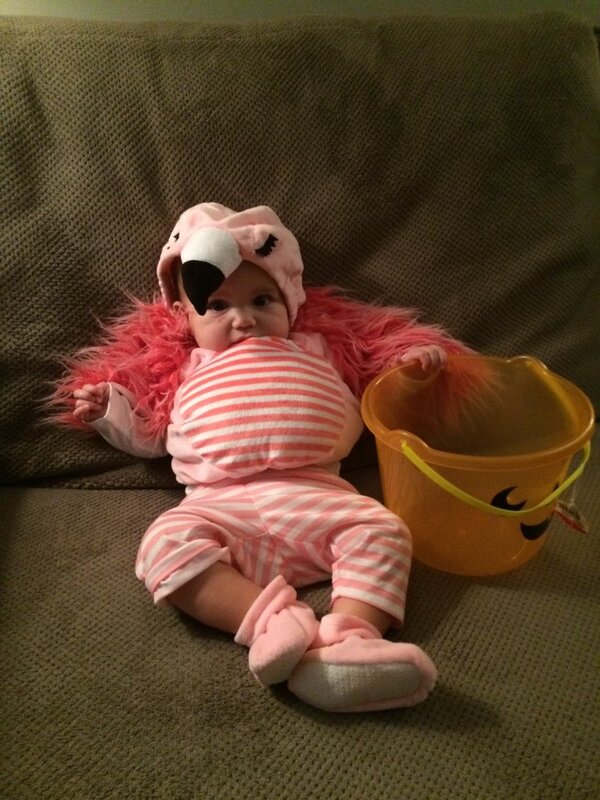 Sloan is a flamingo this year! Sidney found the costume at…drum roll…Target. 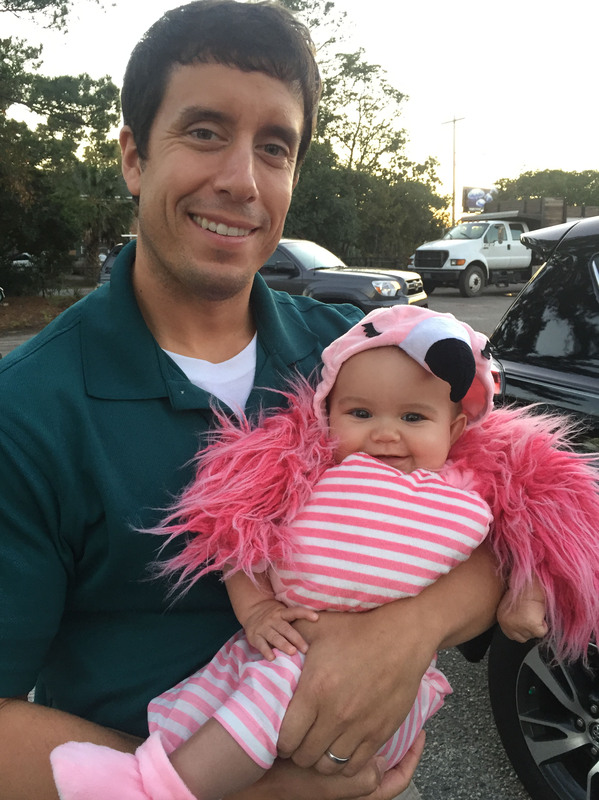 The best part is the pink fur that covers Sloan’s little arms. It reminds me of the fur that actual college and professional mascots use on their suits. Besides the fur that covers the arms, it is also came with a main body piece with an attached hood, pants, and shoes. 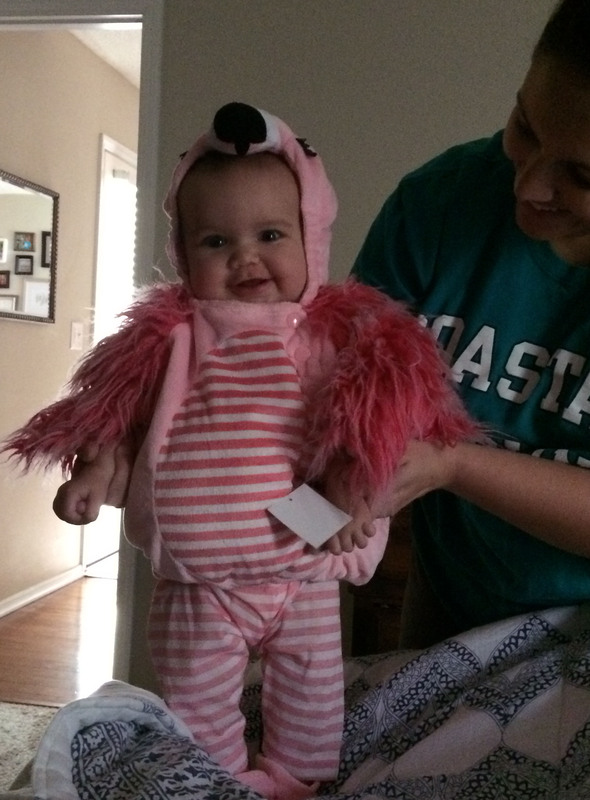 Sloan is as happy as a lark when she is in the costume. She smiles and flaps her arms, making her look like a real bird! Picking her up is fun because she is all cuddly. I think she will be sad once we put up the costume at the end of the night. Speaking of tonight, Sloan has had several dress rehearsals prior to Halloween. Kind of a dark photo but this was the first time I ever saw her in her costume. Made my day! 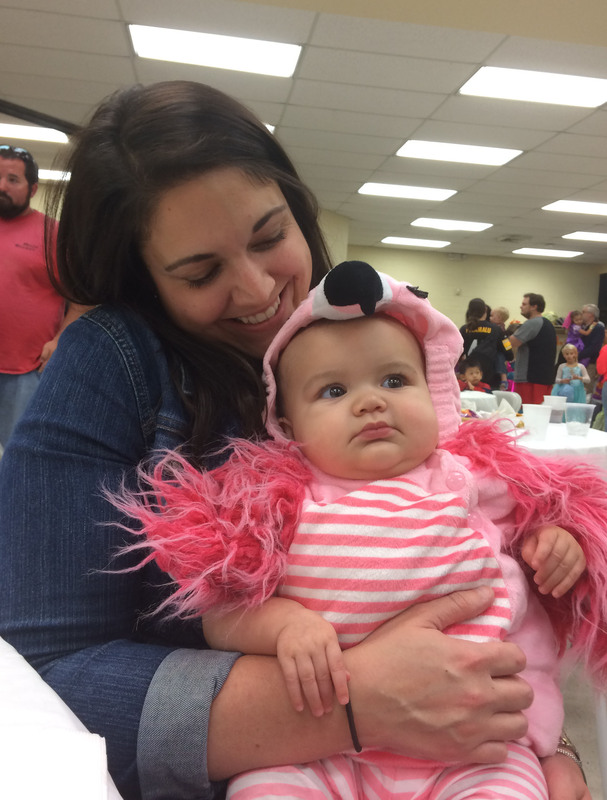 Sloan sitting with her mommy at the Halloween celebration for our daycare. 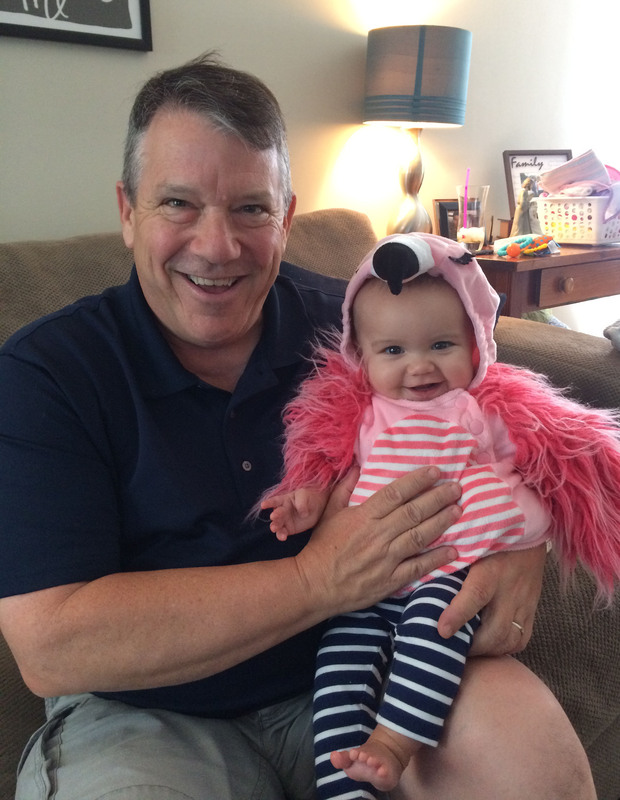 Sloan modeled her costume for papa this past weekend. Sloan has her game face on and is ready to go! Hope everyone has an awesome evening. Stay safe and wear your costumes proudly. We are humbled to have the prettiest flamingo in South Carolina. Don’t Blink. 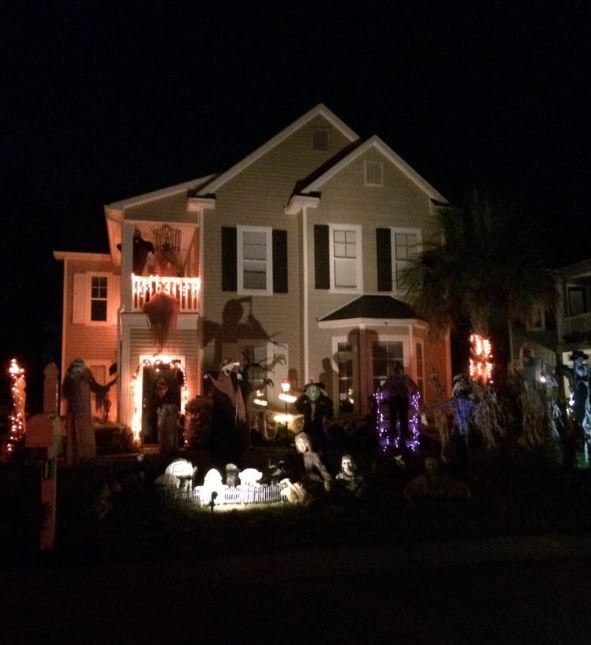 Decorating Your House for Halloween – Okay, my cover is blown. I am starting off the post with my scary topic. Our neighborhood loves Halloween. Many neighbors go nuts decorating their homes. In fact, two years ago I featured several examples. However, this year there is a house that goes above and beyond anything I have seen before. This particular residence has probably close to 20 witches/goblins/ghouls in the yard. Orange lights illuminate the door and windows. Spooky music plays at night. This picture doesn’t do it justice but it is pretty spectacular. I love the display but Sidney tells Sloan to close her eyes when we drive by. This photo doesn’t do it justice but this house in our neighborhood is spectacular! 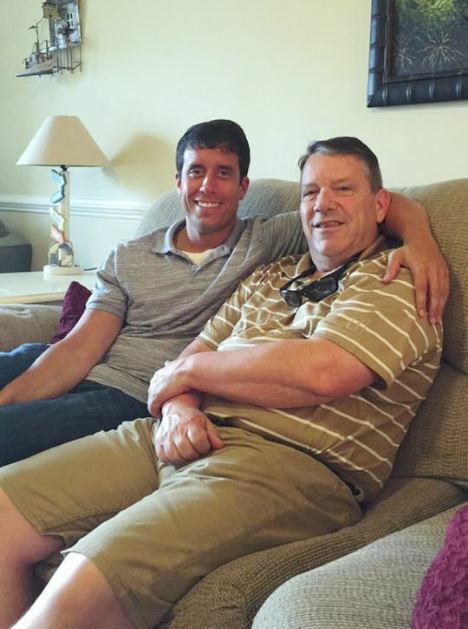 “Papa” Coming to Myrtle Beach – I am extremely excited to host my dad, or, as Sloan knows him, Papa, this weekend. He is leaving Spokane tonight and will arrive in Myrtle Beach around 10:30 a.m. tomorrow. My dad can’t wait to see our little family and attend the Coastal Carolina Homecoming football game on Saturday. I can’t wait either! This will be the first ever CCU game I attend as a fan (as opposed to working it). We have my dad for just the weekend but you can bet we are going to make the most of it! My dad is coming to Myrtle Beach this weekend! Life Is Tough – Don’t worry, two years after I sent out this tweet I am surviving. I still have my health, Sidney is still with me, and I actually still eat at Subway. 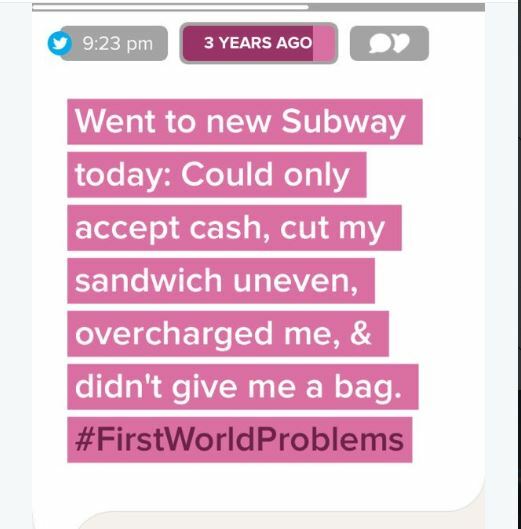 Going through my Timehop today I saw this #FirstWorldProblems tweet and felt like I had to share it in the Thursday Rundown. Although it was a trivial, silly thing to express on social media, I am a Subway fanatic and am pretty particular about my sandwiches. Shoutout to my sister for giving me a Subway gift card for my birthday. Here is a whiny tweet I sent out two years on this date. World Series Reaction – I am with the rest of the country in that I was very disappointed the World Series didn’t end up with a Dodgers-Yankees matchup. God bless the Astros but I didn’t want to see a relatively new, former National League team in the Fall Classic. As you can guess, I am rooting for the Dodgers. I have always pulled for them and I even made a trip to Dodger Stadium to catch an entire series a few years ago. My dad and I will be watching Game 3 and Game 4 with each other this weekend! 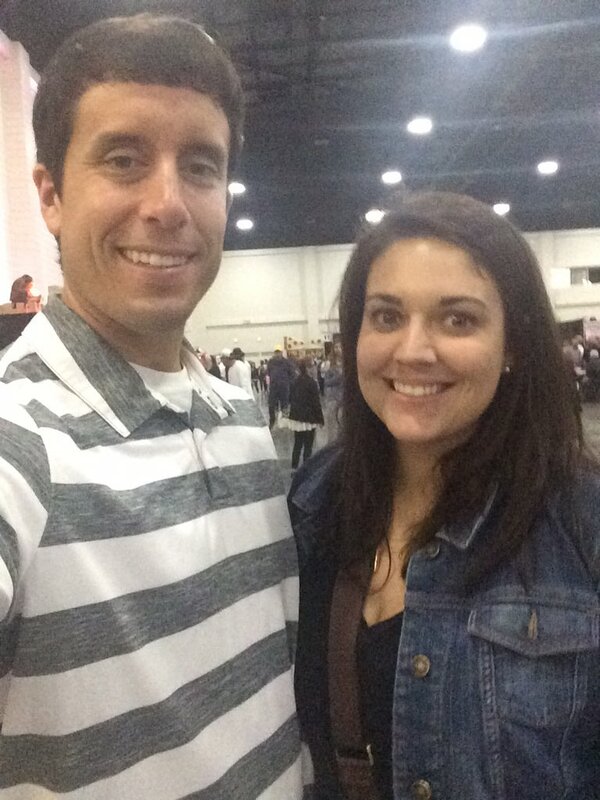 Sloan at 32 Weeks – It has been an eventful week for Sloan. She had a big photo shoot over the weekend (more on that in the future) and then battled a fever for most of the work week. She went from feeling like a star to feeling like an oven. But she is now back to just feeling like Sloan. The major development as we approach Week #32 is her new love for phones. She likes to grab and play with the iphones of mommy and daddy. We figure she should be texting by Week #41. 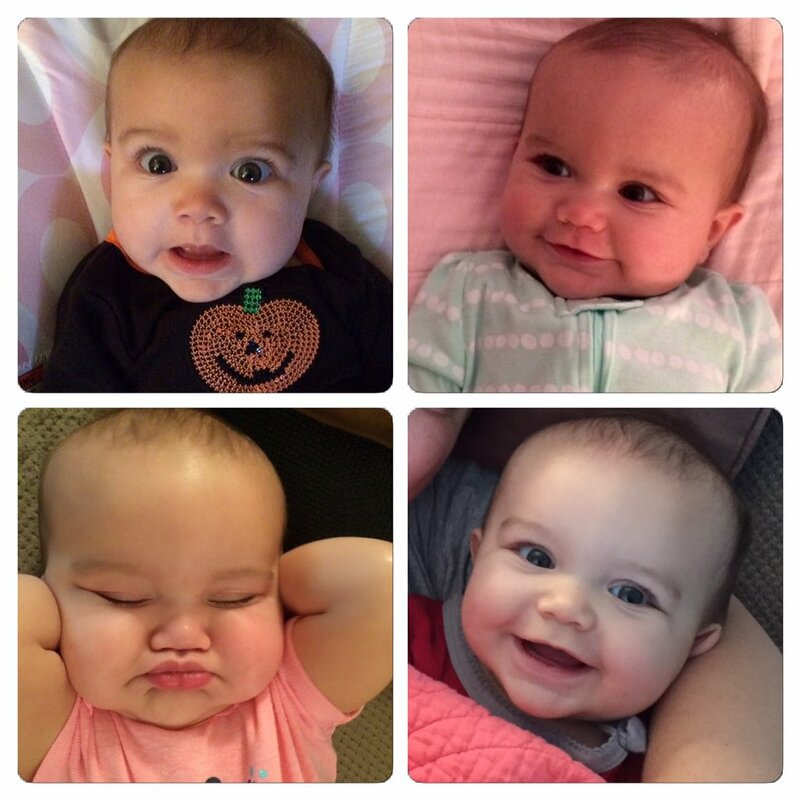 Here is Sloan’s Week #32 photo collage. I am not a big Target fan. I find the chain overrated, deceptively overly priced, and uninspiring. However, deep down in my heart I do have a smidge of affinity for the store. Why? My wife loves the place. Well, that “smidge” at least doubled in size today. I read in the newspaper that Target is putting an end to what it calls the “Christmas Creep.” The phrase, which I really like by the way, refers to the tendency for many retailers to start rolling out the Christmas products and decorations well before Thanksgiving, sometimes even before Halloween. This year, Target will focus on actually promoting and recognizing Turkey Day before transforming its stores into mini Santa Workshops. I am not a fan of Target but I really appreciate the move the company just made. Look, I love Christmas. In fact, I love the Christmas season. But let’s be real, the Christmas season doesn’t start in October. I prefer to stay patient and wait for the good things in life. It makes them that much better when they occur. Busting out the Christmas trees and egg nog two months before the actual holiday normalizes and cheapens it. Nothing has accelerated the “Christmas Creep” more than big box stores, malls, and other retailers. It has gotten completely out of control. These culprits have taken it to a level of absurdity. Thankfully, one of the big players is finally taking a stand. Target says it will hold back on the Yuletide spirit because of feedback from its shoppers. Yes, the customers told the retail giant that red and green looks tacky with orange and black. Although Target might think in the back of its head that early Christmas green translates to money green, I am glad they are listening to the masses and putting a temporary delay on the madness. As I said, I am not a Grinch by any means. I just value moderation and common sense. I don’t say this very often but well done, Target. Don’t Blink. Earlier this month, I wrote how parents can manage the Halloween candy earned by their children after trick-or-treating. I offered five educational ways in which the parents could reduce the sugar intake of their kids. Yesterday, I was informed of a certain method employed by a dentist in New Jersey. Dr. Robin Lucas of Lucas Dental Associates introduced the “Candy Buy-Back” program a few years ago. Children within her practice could come into the office and trade their trick-or-treating loot for $5. For those kids on the fence about making the deal, a toothbrush was thrown in. The candy was then donated to different branches of the military. 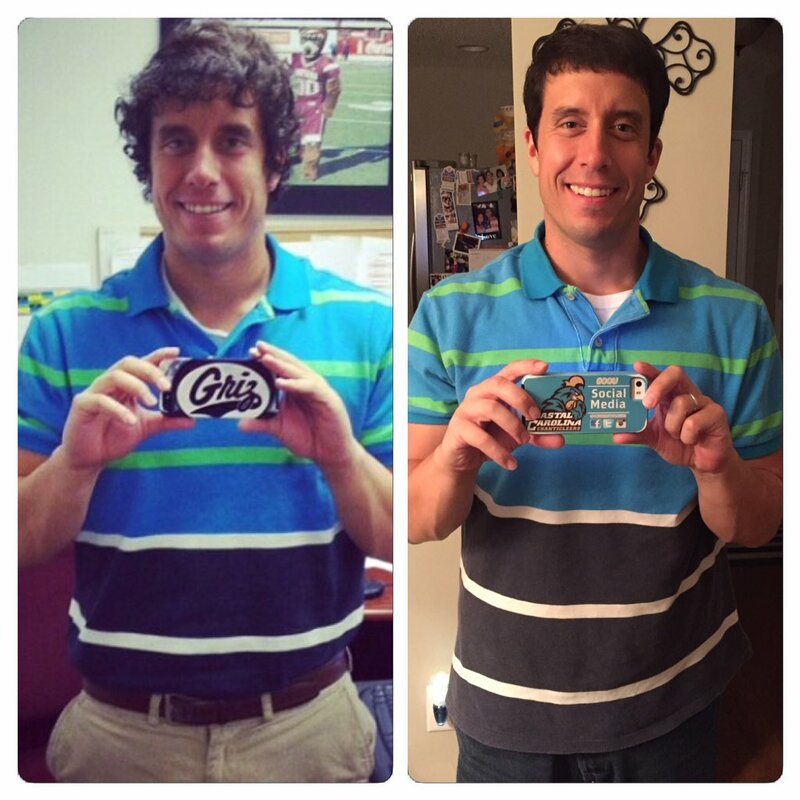 The Halloween candy buy-back idea is a good one. However, I have one little critique. This year it gets even better. In an unprecedented step, Dr. Lucas is extending her program to the entire community of Hoboken, New Jersey (as opposed to just her patients). Let me begin by saying I love the concept. It sure beats the lame suggestions I came up with a couple weeks ago. But is anyone else scratching their heads about something? I hate to sound greedy, but after wrestling around with this program all of last night I arrived at one critique: the kids aren’t compensated enough. 1. The amount of candy obtained after a night out on the neighborhood by an average trick-or-treater far exceeds $5 in value. Many of us are aware of how much a medium sized bag of fun size candy bars will cost these days. Depending on where you shop at, you are looking at paying around $4. For most trick-or-treaters, they have already had the equivalent of a bag of candy dropped in their pillow case by the time they have finished the first street. After hitting up the neighborhood, most children have enough treats to fill a few different pinatas. Although no scientific study has been done that I am aware of, I would say that most kids walk home at night with roughly $15-$20 worth of candy in their possession. 2. The labor exerted by trick-or-treaters on the night of Oct. 31 also doesn’t match the $5 offer. If kids these days are anything like I was back in my time, they are most likely hitting the pavement for 2-3 hours on Halloween. If you take the low end, that means a child is receiving $2.50 per hour for his/her efforts. If you take the extreme end, it means the boys and girls of our society are toiling for roughly $1.66 per hour. Doesn’t add up to me. For those children who are torn on whether to participate in the program, I would offer this advice: Employing honesty at all times, create a pile that you feel equates to $5 worth of candy. Then, for good measure and good will, throw 10 extra pieces on top. Bag up your pile and take it to the office of Dr. Lucas for your $5. Then, take your remaining candy and incorporate it into one of the educational ideas that your favorite blogger proposed. Much credit to Dr. Lucas for thinking outside the box. Like I said, I adore the basis of the program. I just think it could use a little tweaking. Don’t Blink. We just returned to our house from a new experience and are unloading the fruits of our labor. Well, the word “labor” really doesn’t apply because other people did all the work. Today, Sidney and I did grocery store pickup after placing our shopping order online. 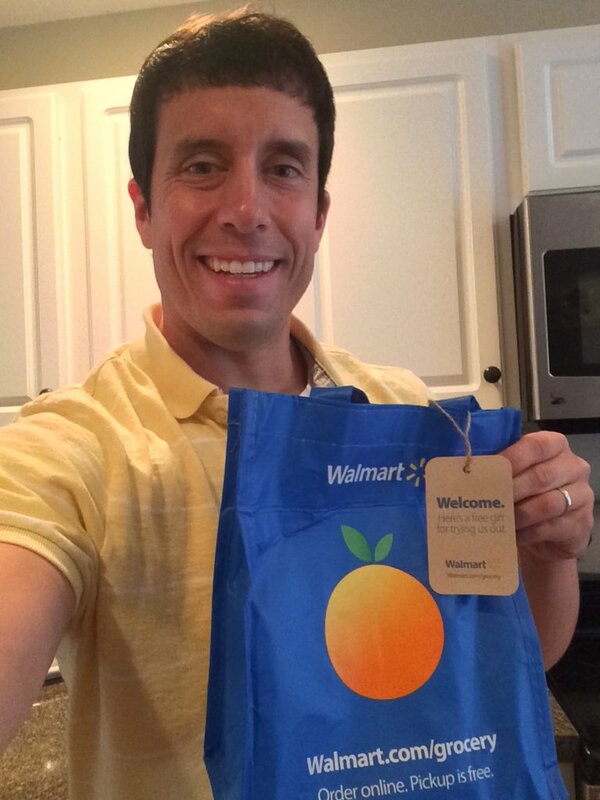 Specifically, we did Walmart’s version of grocery store pickup called Walmart Grocery. Sidney and I do the bulk of our grocery shopping at our local Walmart Market and a few weeks back our location started advertising its online pickup service. For those who don’t know, I came up with the concept of grocery store pickup over three years ago so it was mandatory that we give my brainchild a shot (full disclosure, after publishing that blog post I found out that my “great idea” was already an actual thing). After about 30 minutes we had filled our cart with our weekly groceries. It was now time to check out. Again, too simple. We entered our debit card info and the purchase was made. We immediately received confirmation from Walmart with our time of pickup. Fast forward to today. I received a text message to my phone at around noon telling me that our groceries were ready. We had scheduled a 2 p.m. pickup so it was nice that they had filled our order a little early. Walmart even called me right at 2 p.m. just to make sure we were still on track to get our groceries (our lunch with Sidney’s family ran a little past the hour so we didn’t get to the store until around 2:30 p.m.). We pulled up to Walmart Market and parked in one of the spots designated for Walmart Grocery. Within seconds we had two Walmart associates approaching our car. One associate was a man pushing out our groceries while the other associate was a woman who was running the operation. The woman warmly greeted me and thanked me for using the service. She then gave me a complimentary gift bag with a few items in it as a token of their appreciation. The man then had me sign off on the groceries and then both employees started to fill up the back of our car. We were then off on our way. This was the gift bag I was given today for using Walmart Grocery. Overall it was a good experience. The service is free and our entire order was filled accurately except for one substitution they had to make on our spaghetti sauce. Items were bagged with care and stickers with “fragile” were placed on bags with food such as bread and eggs. The Walmart associates were extremely nice and helpful and we never had to set foot inside the store. I can see us doing Walmart Grocery again. However, I will make sure to still write an actual grocery list before placing our order online. Because our grocery needs are extensive, it is good to sit down at the computer with everything you need right in front of you. When Sid and I ordered yesterday, we were just inserting items off the top of our heads. In the future, I see us doing a mix of online shopping and actual in-store shopping. Perhaps we might alternate weeks? Shopping online is great for convenience and for avoiding the circus that Walmart on Sunday can sometimes be. In-store shopping will still be important for those weeks where we don’t have time on Saturday to sit down at the computer and list every item we need or for those days where we just want to browse the actual aisles to see if new products/better deals are available. Two thumbs up for Walmart’s version of grocery store pickup. They provided us with a good initial experience and we will surely do it again in the future. Don’t Blink. After over three years of attending the beautiful HTC Center for my workouts, I joined a new gym last month. The contrast between the sparkling facility we have here at Coastal Carolina University versus the place I am going to now is quite striking. In short, the former is really nice while the latter is not. But trust me, I am completely fine with it. Because the hours of operation for both Coastal’s gym and Sloan’s day care don’t mesh well together, I had to find a new exercise center, one that was open 24 hours and preferably close to our house. It didn’t take me long to pinpoint a location. I am now a member of Gold’s Gym (you want to lift some iron, bro?). Before I address the stereotypes let me explain why I made this decision. I am now a member of Gold’s Gym in Myrtle Beach. Believe it or not, I have a history with Gold’s Gym. When I would return to Spokane for holiday and summer breaks when I was a college student, I would pull together the little money I had and use it to purchase whatever promo deal the local Gold’s Gym was offering to get me through the couple weeks or month I was home. Additionally, over the last couple years, I have frequented the Myrtle Beach Gold’s Gym on days the HTC Center was closed (on holidays and when campus shut down for weather events). 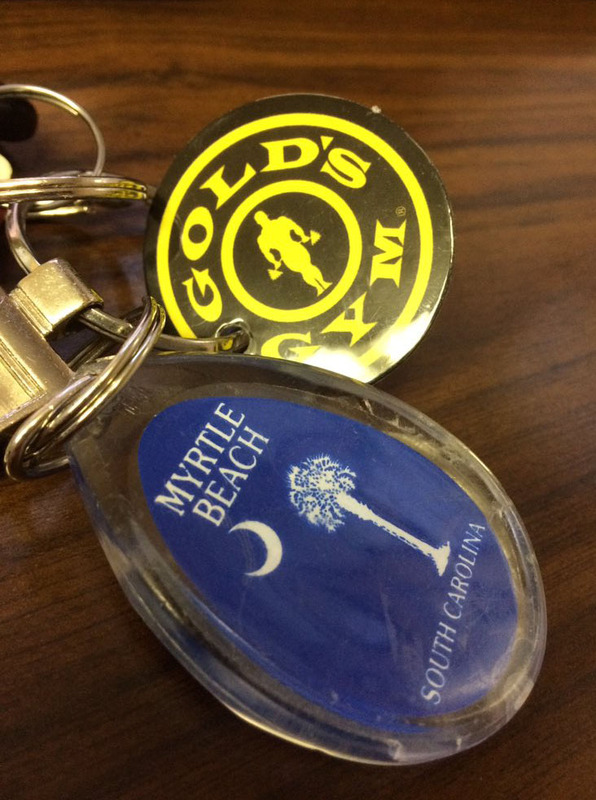 Thus, because the Myrtle Beach Gold’s Gym is open 24 hours during the week and because it is within 10 minutes of my house, based on the familiarity I had already established with the brand, I went ahead and purchased an actual membership. As I said, the HTC Center and Gold’s are worlds apart. 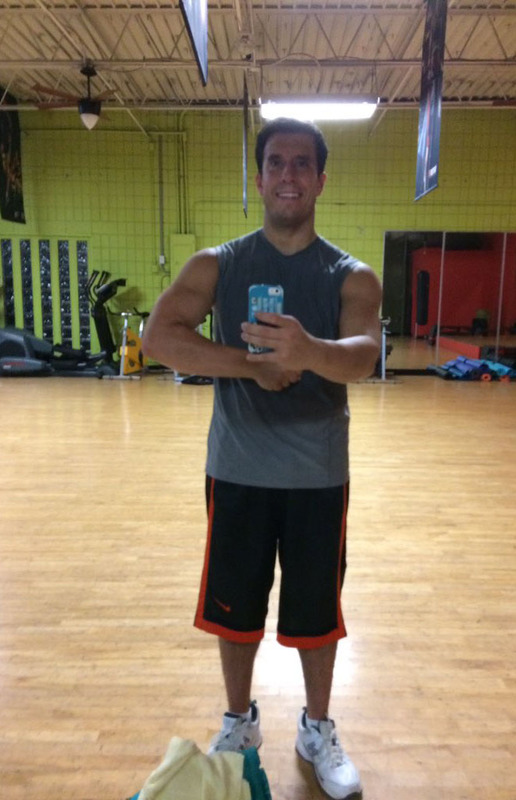 I went from working out in a spacious, top of the line facility to sweating it out in an old, cramped gym. I went from exercising in the company of fit college students to being surrounded by extremely muscular and intimidating adults. I went from enjoying brand new equipment to lifting weights that could easily be confused with inventory meant for a prison gym. I do get in a good sweat at Gold’s (and that is all that matters). The Myrtle Beach Gold’s Gym has an actual hardwood gym that I use at the end of my workout. I took this photo a couple weeks ago. But hold on for one second. I am being a bit dramatic. Although the above comparisons are for the most part true, I do actually enjoy working out at Gold’s Gym. Even if it feels as if I am stepping into the 1980s each time I walk through the doors, it is the atmosphere that makes a gym. At Gold’s, people work hard and treat me with plenty of respect (even the ones who can bench press 1,000 pounds). The staff is incredible. The facility and equipment might be old but it is conducive to what I need to complete my workout and feel good about myself. Most importantly, Gold’s Gym allows me to show up before 5 a.m. so I can get in my workout and get home so my wife can go to work and I can take Sloan to day care. And, in the end, I am not turning my back on the HTC Center. Although the majority of my workouts take place at Gold’s, I still have the pleasure of exercising with the campus community twice a week. However, I have learned one thing: although luxuries are nice, it is not the gym itself that works the magic; it is the person utilizing it. Don’t Blink. 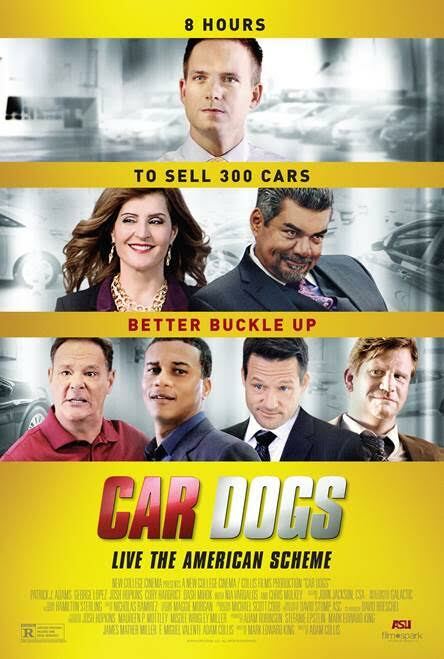 Last night, I finished watching a movie on Netflix called “Car Dogs.” The film is about a car dealership that must sell a large number of vehicles in one day. This particular dealership has a large team of salesmen (and one saleswoman) who have to work extremely hard to meet the quota. The film focuses on many of these salespeople, including the general manager and owner, as they employ different tactics to reach the goal. There is a backstory to the madness but it is not important for this blog post. The movie “Car Dogs” raised one big question for me. When I was 12, I remember tagging along with my parents as they looked for a new car. My mom and dad really don’t rush into too many decisions so as you can imagine, it was a pretty exhaustive search that included multiple car dealerships and multiple salespeople. Although I didn’t know a thing about sales at the time, I quickly became acquanited with the various tricks and skills used by the dealership employees. Watching my parents test drive, turn down, negotiate, and, ultimately, purchase a vehicle, was an eye opening experience. As I grew older, I had a couple more experiences with car salespeople. The summer of my sophomore year in college I visited several used car dealerships to find a dependable vehicle. Although my dad helped me with the negotiations, I would go on test drives with the various salespeople alone. With my dad out of the picture, they would take their best shot at me to close the deal. Some people love buying a car and negotiating the terms. It gives them a sense of control and a shot of adrenaline. Personally, I don’t particularly enjoy it. I always feel ill-prepared to haggle with a person on his/her turf who does it for a living several times a day. To put it simply, I know I am at a major disadvantage. But watching “Car Dogs” made me aware of another potential BIG disadvantage that I never considered or knew about. In the film, the salespeople dealt routinely with married couples and family members. When the salesperson would go off to the sales office to run a deal/price by the general manager, the customers didn’t have the privacy they probably thought. In fact, every word the customers said went right to the dealer’s office. Yes, the negotiation room was bugged! By the time the salesperson entered the room to talk to his boss, he could listen in on exactly the direction the customers were leaning. Honestly, does this really happen?! Can my car dealership readers enlighten me? If this is the case, I am not necessarily mad. I am just angry at myself for being such a sucker. When Sidney and I leased our car, we openly talked about what we wanted to do each time our salesperson “went to the back.” To know that every word we said was transmitted crystal clear to the dealership staff is kind of crazy. By the way, I recommend “Car Dogs.” Regardless of what you think about the car purchasing charade, it is a funny and insightful film. If you do plan to purchase a new vehicle in the near future, I think it is a must-watch. Don’t Blink. In today’s Dear Abby column, a reader offered her method for dealing with her children’s Halloween candy. Instead of letting them reach sugar highs for the next two months after October 31, she introduced the “Halloween Witch.” Shortly after her kids return from trick-or-treating, they can pick and keep a certain percentage of their candy. The remainder is then “sacrificed” to the Halloween Witch who comes in the middle of the night and swipes it. In the candy’s place, she leaves a toy. Not a bad idea! I found it to be creative and fair. It got me thinking about other ways parents can productively manage their children’s Halloween candy intake. I came up with my own five brief ways to do so. – Special Delivery: Mom and dad can teach giving and consideration. Using extended family, kids will have to give two pieces of candy to 10-15 people such as aunts, uncles, cousins, etc. The children will have sole discretion on what to give to their family members but they must use what they know about each relative when making the decision. For example, if they know their Aunt Connie likes peanuts, they would give her a Snickers bar. The kids will hand deliver the candy or mail it off, depending on what is feasible. – Operation Candy Bowl: Children will fill the candy bowls at the work places of both mom and dad while also stocking the candy bowl kept in the living room at the house. Also, parents will encourage their kids to reach out to a business they know has an awful selection in its candy bowl (i.e. Jolly Ranchers that are five years old) and offer to replenish it with candy that people will actually eat. 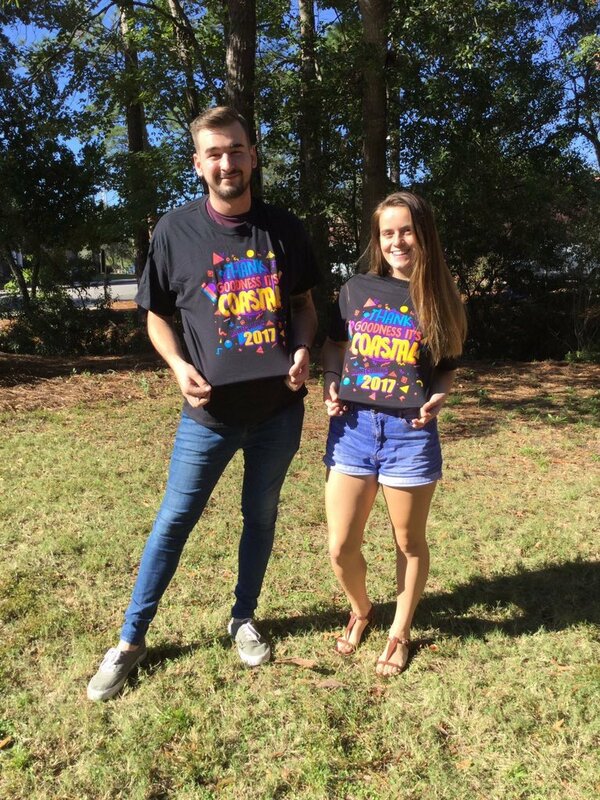 – Express Yourself: The oldest “Will you go to Homecoming with me?” trick in the book is when someone spells something out on poster board using different candy bars. How about teaching them early? Parents will have an arts and crafts night in early November where the kids will have to use no less than 10 pieces of candy to tell a story or express an important message. This will be an activity where mom and dad will have to assist quite a bit but not only will it cut down on candy consumption but it will be a great learning exercise. – Can You Meet Me Halfway? 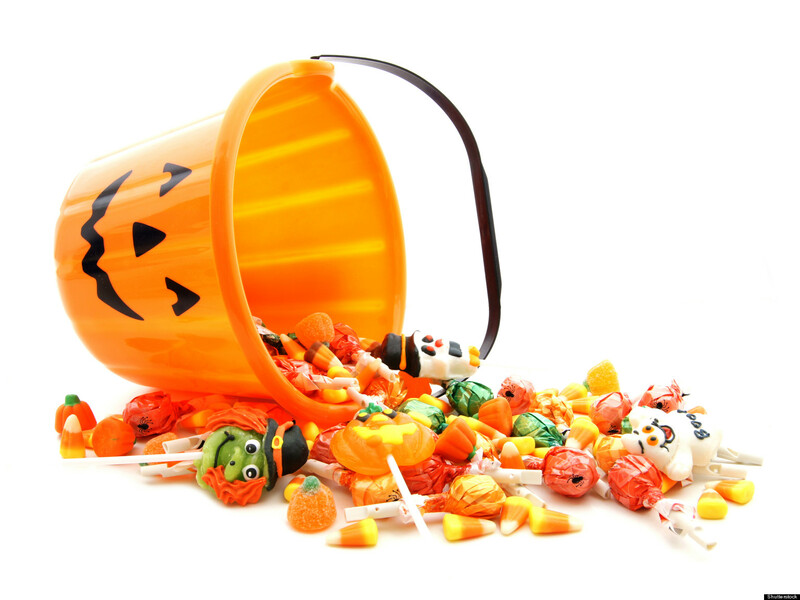 : Okay, so your kids don’t want to give any of their candy away? Try this hack. Allow your children to keep all of their candy under one condition…they can only eat half of each piece. If it is a Baby Ruth fun size bar, they break it in half. If there are 20 Skittles in a pack, they eat 10 and throw away 10. While they do this, they must log the calories they are saving. When the Halloween candy runs out, they add up the total amount of calories they ended up not eating. For many, that number will be in the five digits. – Treasure Hunt: After the children decide on what pieces of candy they want to keep, the rest is put in a garbage sack or a toy treasure chest and is taken out in the backyard. A parent then digs a deep hole and places the sack or chest inside it before “burying it alive!” On October 30 of the following year, the candy will be unearthed. Kids can then see how the candy decomposed all while getting excited for the following night. Also, just knowing that a load of candy is buried in the backyard is something that will keep capture the imagination of the children throughout the year. What ways do you have for moderating your children’s candy intake? We have an easy method for Sloan this year. It is called give all your candy to mommy and daddy. Have a great Sunday! Don’t Blink. 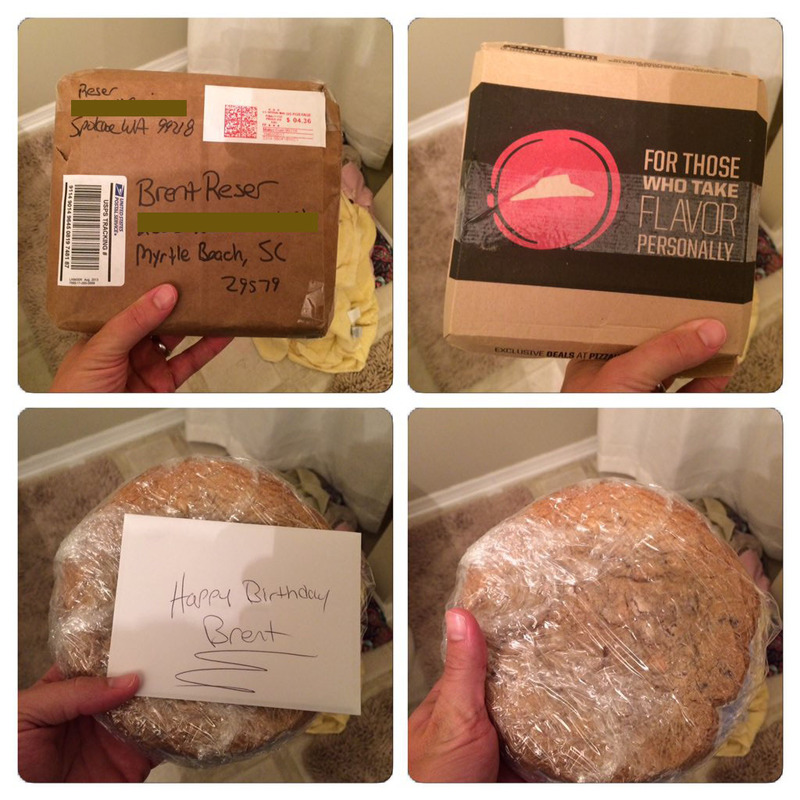 Birthday Cookie – How do you ship a cookie from one side of the country to the other and still have it taste like it just came out of the oven? Put it in a miniature pizza box of course! My mom sent me one of her homemade chocolate chip cookies this past week to mark my birthday. Sidney and I devoured it, well, I mostly devoured it, and I couldn’t have been more impressed with its quality. It tasted just like home. Thanks mom! Thank you to my mom for sending me a delicious birthday cookie. 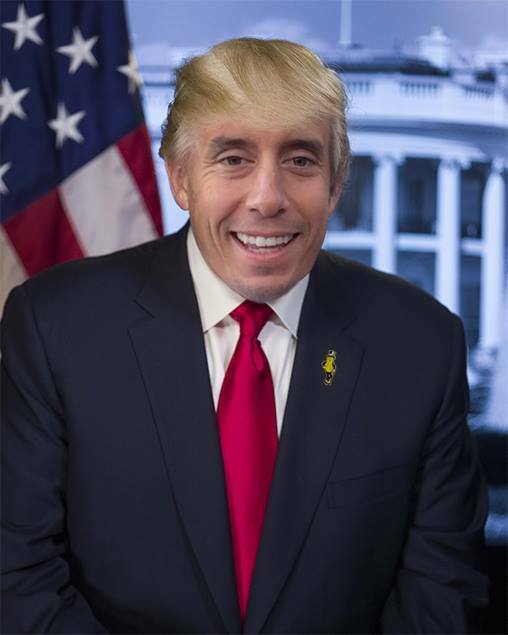 Brent “Trump” Reser – Out of all the birthday messages I received on Facebook (and I replied to each one), the most creative one came from Rob Wyeth, our director of creative services at Coastal. If you remember Rob from previous blog posts, he is the man behind our Festivus t-shirt exchange and our office birthday cards. Anyway, he celebrated my day of birth by “Trumping” me. I don’t really know if it is a good look for me or not. DISCLAIMER: Someone putting my face on a politician does not necessarily mean I support or endorse that person. Rob Wyeth put this graphic together. 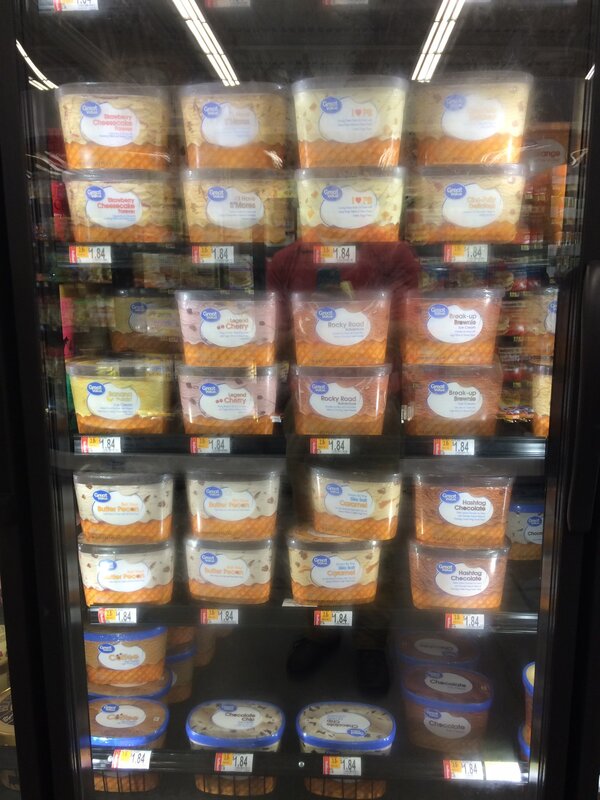 Deal Alert – I have written before about how good Walmart’s Great Value brand is, especially its ice cream. Heck, it beat out Ben & Jerry’s in a taste test I conducted. So when ice cream that good is on sale for a low price, I have to let my readers know about it. At our local Walmart Market this past Sunday, a tub ran just $1.84. This includes all flavors. A pint of Ben & Jerry’s runs close to $6 at some places. I had never seen the price of ice cream of this quality and quantity ever dip so low. Take advantage of it, you won’t regret it (unless you are trying to lose weight). All those cartons of ice cream for just $1.84!! Austin – Because I wrote an entire blog post on Jeopardy champion Austin Rogers, I feel obligated to follow up with an update on my Thursday Rundown (I will do this every Thursday until he is dethroned). The past two nights have been runaways for the champ as he continues to use the Daily Doubles to pull away. Last evening a woman from Surf Side, S.C., was a contestant and it would have been a storybook tale if she defeated Austin. Obviously, it didn’t happen. I am still punching the pillows and gritting my teeth as he sweeps categories and aces Final Jeopardy. At least I learned a cool fact last night…Austin buys all of his suits and ties at thrift shops…much respect to him! 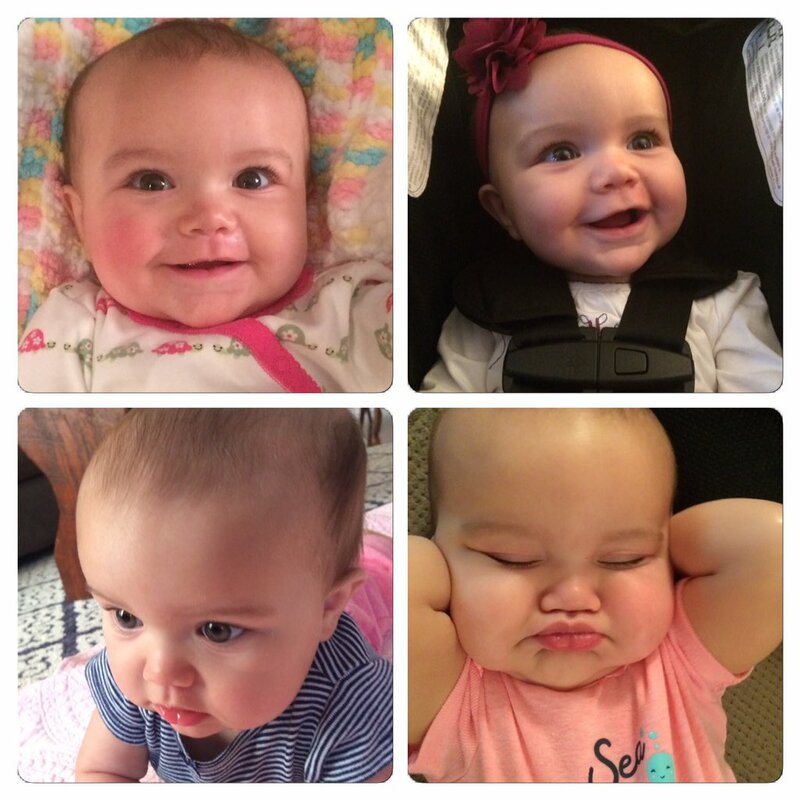 Sloan at 30 Weeks – Sloan is well over 200 days old now! She reaches for everything and she feels that a box of baby wipes is more fun to play with than any of her toys. Her newest trick is clapping her hands. She loves to show off by doing it, bringing a big smile to her mommy and daddy. She keeps getting sweeter and prettier by the day. Our baby girl is now 30 weeks old. 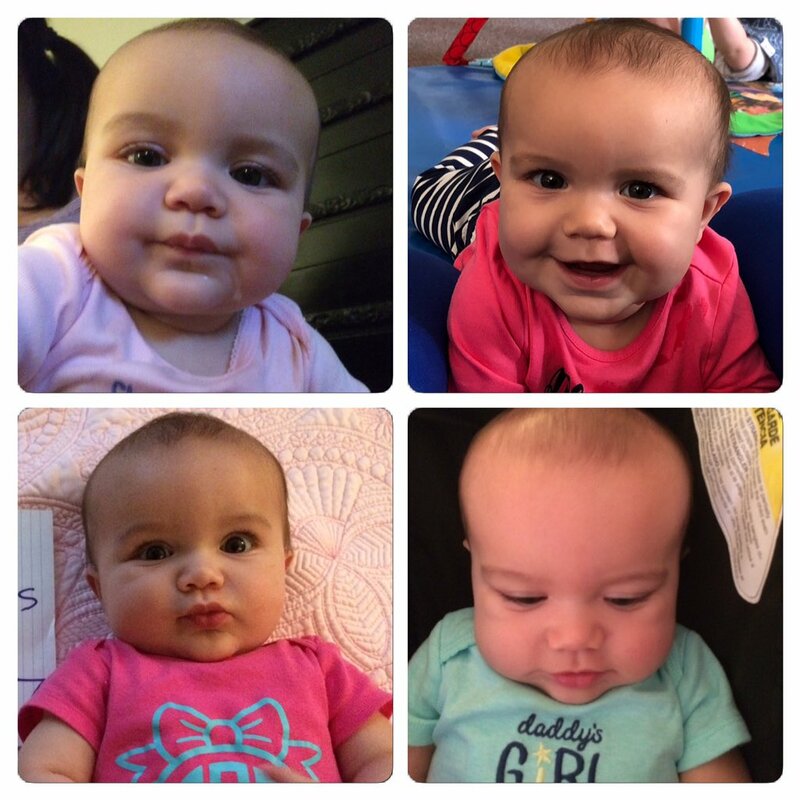 Here is the latest collage with photos from this past week. Please remember the victims and families impacted by awful events such as the shooting, the hurricanes, and the fires. We all need to realize our own good fortune. Have a nice weekend. Don’t Blink.